"Alan was extremely thorough, responsive and engaged in the design and implementation of our project. I appreciated that I could always address work or changes with him without any difficulty. 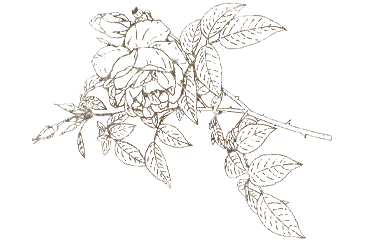 Classic Nursery is a seasonal nursery and company that can tackle anything. Don is a fabulous resource and he knows his stuff and can easily teach/convey the info to me. Pauline is helpful and friendly. We appreciated the hard work of the crew, even when I asked them to move a plant! Thank you!" 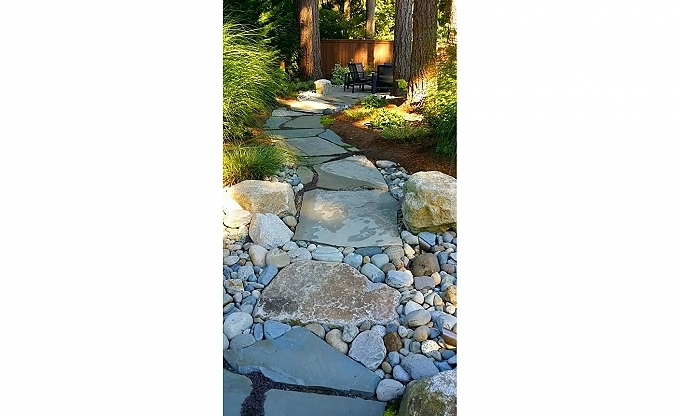 We do a lot of work in rock, from small boulders to river cobble, flagstone, and large boulders. 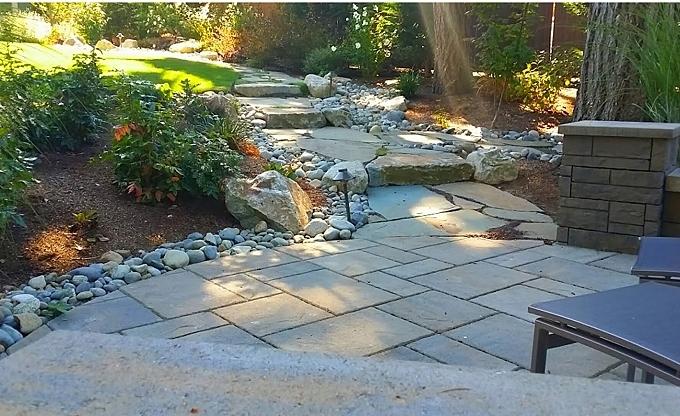 Set by our experienced crews by hand or with a large trackhoe, rocks typically installed are local basalt and granite. With many other styles, shapes, colors and textures to choose from, we'll make it easy for you to sort through the types and sizes of rock available. We create these "dry streambeds" for a lot of clients. Inexpensive and visually appealing, this accent accomplishes a number of things, from controlling erosion to channeling drainage. Best of all, a dry stream breaks the beds into manageable spaces, allowing you to segment the bed areas for easier maintenance. We usually accent them with small mixed grasses, and always line them with a permeable weed barrier. You can choose from a wide variety of flat stone paving or flagstone. We most often use Montana slate, but also work frequently with flat granite, Wilkinson stone, tumbled slate, and a host of other types. 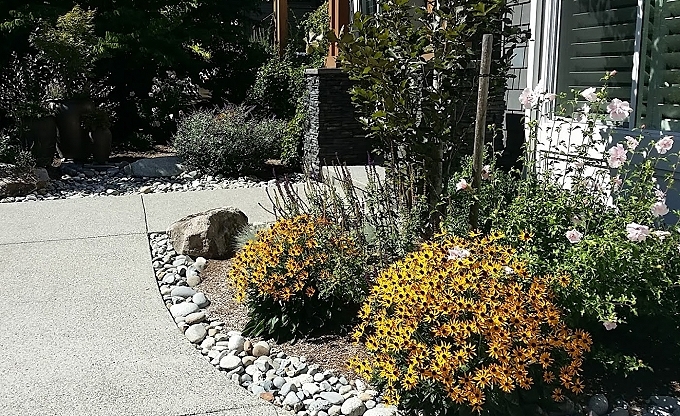 Usually set in a crushed rock base covered with compacted sand, the stone can also be mortared, custom cut, and fit against other styles of paving for a more eccentric look. We do lighting a certain way, and we stick with it. Lights can be problematic if not installed well or from cheap kits. We use a high-quality copper pathlight with a higher wattage bulb than many outdoor low-voltage kit lights. There is a range of styles to choose from, and there are quite a few ways to light specific areas. Best of all, we also perform a night consultation to set your lights, so you can really study the effects and make changes. Finally, we install an FM frequency transmitter clock (it looks like a plug-in travel alarm clock) to allow you to adjust the lights from inside your home. That's right, no more fiddling with the transformer outside in the rain! Oh, and the bulbs are guaranteed for a year. We do a lot of patios. Keep in mind that you may need a slightly bigger space than you think to set a four-person table where you can still move your chair back without stepping onto the adjacent lawn or bed area. First you determine the shape and then you choose the materials. We'll give you a catalog showing stone selections as well as other types of paving to help you choose. You can also visit our sample library in Redmond for more information. Add pots and a few Adirondack chairs and...well, suffice it to say that we have to look at the size carefully. 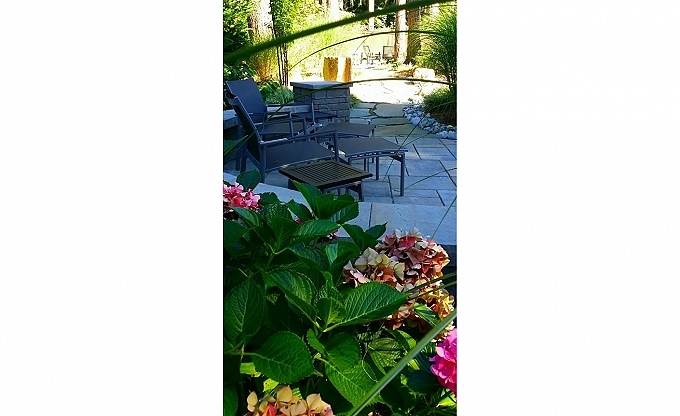 Planting is what you think of when you think of landscaping, and nobody does it better than we do. 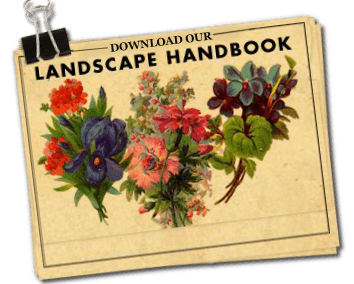 We bring perennials that recur every year, beefy, robust evergreen plants that last all year, and fabulously colorful deciduous shrubs and trees as accents. 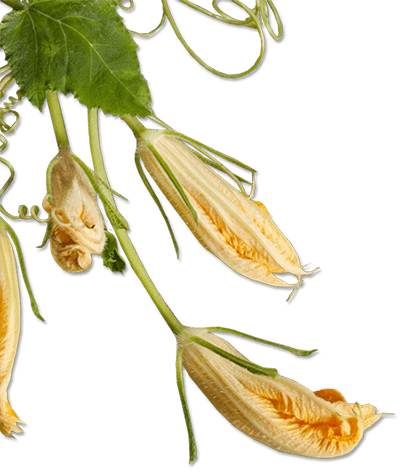 We have acres of plants to choose from and a uniquely flexible way of working that allows you to "see the plants before you start." 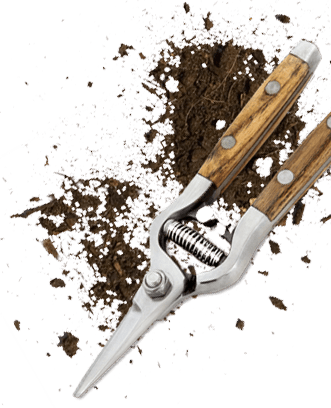 As one of the largest purveyors of Cedar Grove compost in the county, we also rototill or hand-turn your bedsand fertilize all of your new plantings. 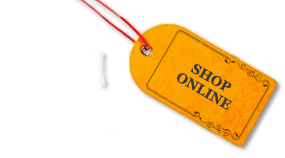 Best of all, we guarantee it all for one year and offer you a discount card when the dust has settled to shop at the Nursery. 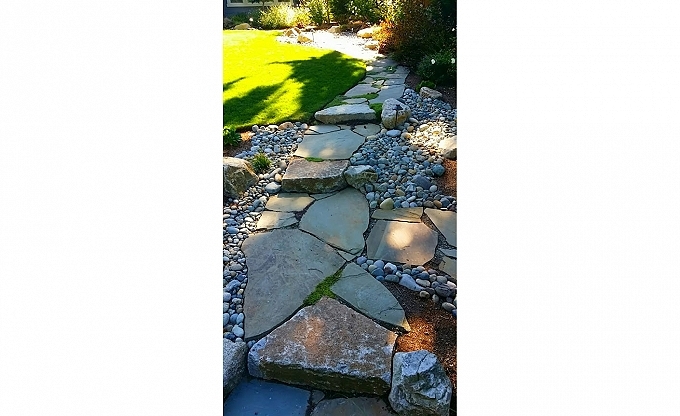 These simple rock steps, made up of fitted small boulders, are one of the longest-lasting and most cost-effective ways to make steps. 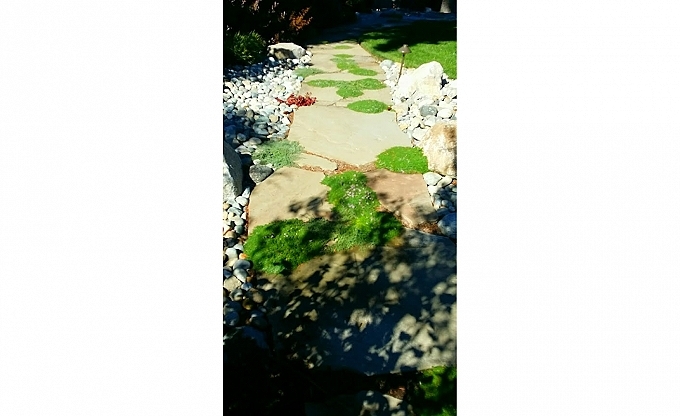 We can also make them from flagstone and other types of rock. Creating a pathway through a native area or simply from the garage to the rear patio enables you to fully access your property. 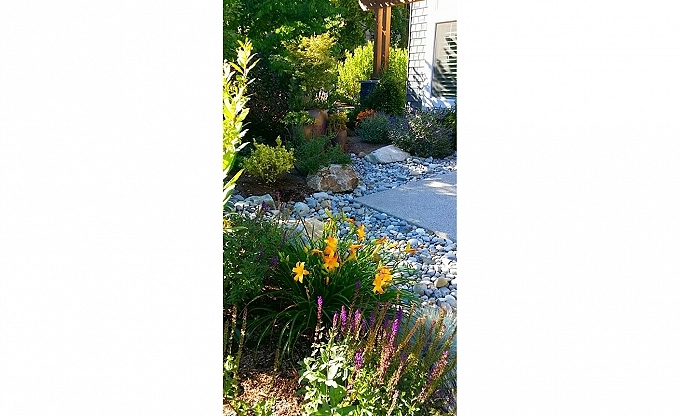 It can also create a distinctive and low-maintenance transition between beds and lawn areas. 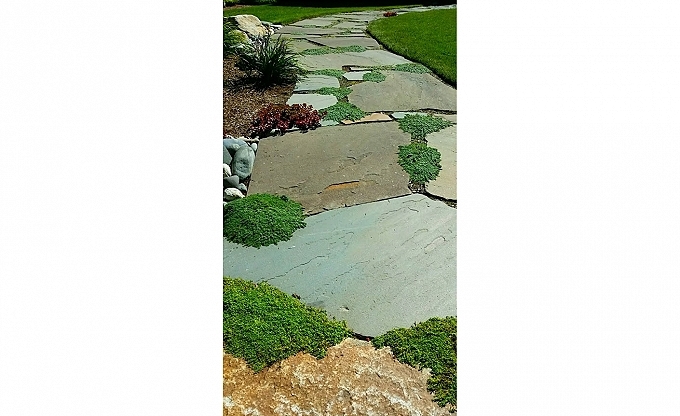 Constructed of crushed rock, flagstone, pavers, concrete or wood, pathways are one of the most common installations for our experienced crews. 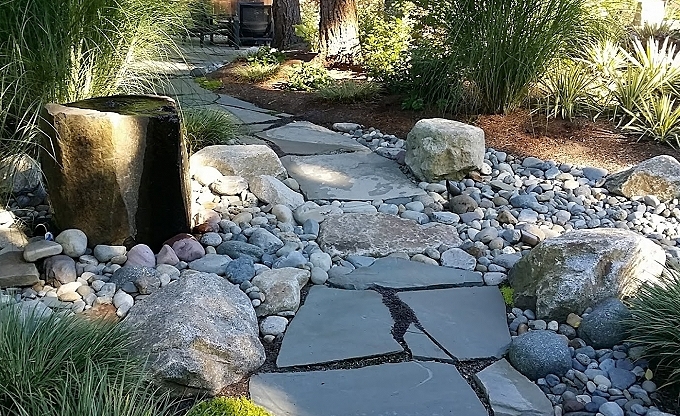 A waterfall, stream or recirculating pond can be an attractive and calming amenity for any home. The pleasant sound of splashing water and the beauty of colorful fish can create a wonderful sense of serenity in even a small backyard. 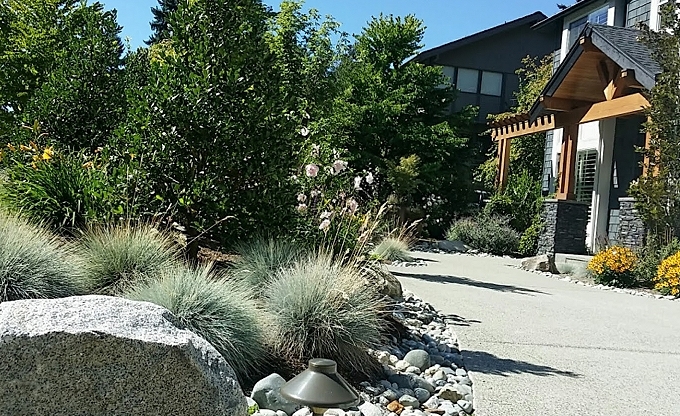 At Classic, we know that a successful waterfall or pond should look like a natural element in the landscape. 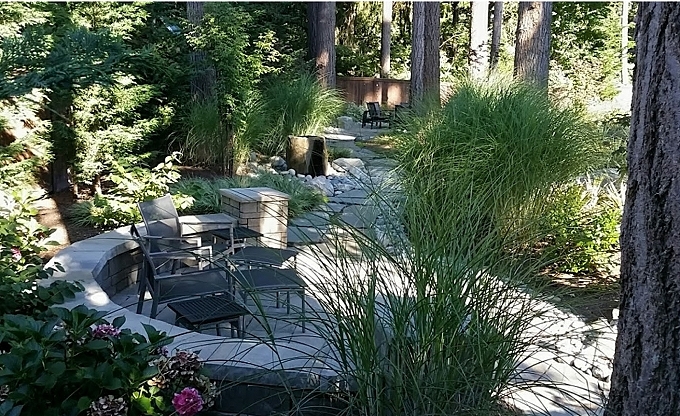 You may also want to have a landscape architectural plan drawn up for the area to allow for such things as expanded patios, walkways or other design elements. The Classic pond utilizes a debris skimmer, much like a swimming pool, which is easy to access and clean. 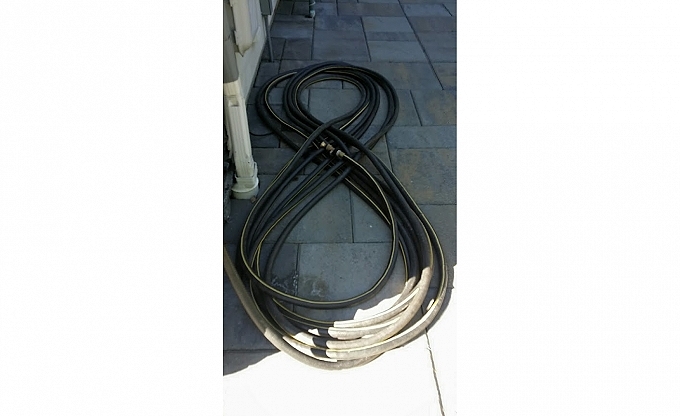 We can provide overflow assemblies, pump timers, self-filling valves, pond lighting, and a wide range of aquatic plants and different types of flagstone, rock, and paving materials. We can also coordinate the construction of all types of outdoor amenities, from pools to sport courts and spas. Working with us to design this type of construction offers some distinct advantages for you as a client. 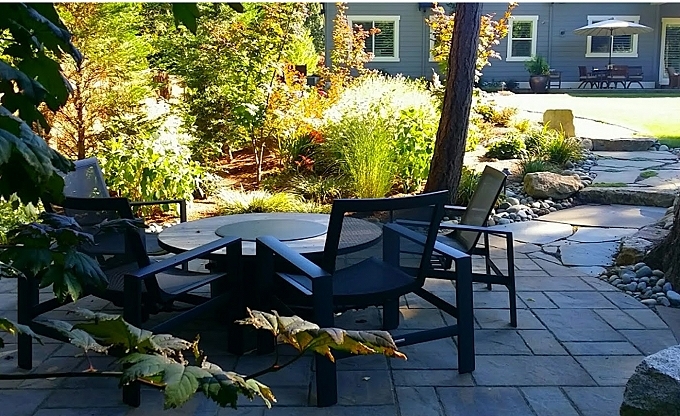 We design the feature to fit within a budget framework and solicit competitive bids on your behalf as part of your landscape architectural design package. Most importantly, these features fit within the overall site design, integrating with planting and other construction. We show you how to stage this effort to minimize site damage and perform the construction efficiently.